We had a customer on Boring Bridge Rd in Lewisberry PA, who was recently had their house built. The other contractors were just about done and now it was time for us to do our job. 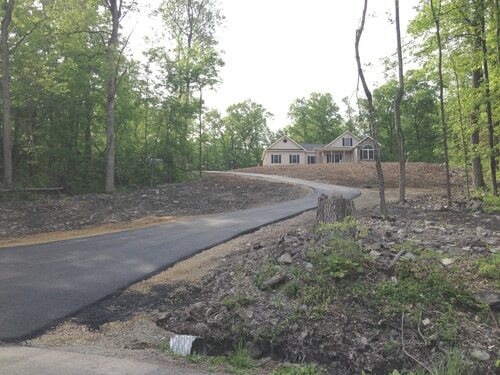 We laid out the driveway, installed 6 inches of stone base and compacted 3 inches of ID3 blacktop for traction for the hill of the driveway. We also do sealcoating In Lewisberry PA .